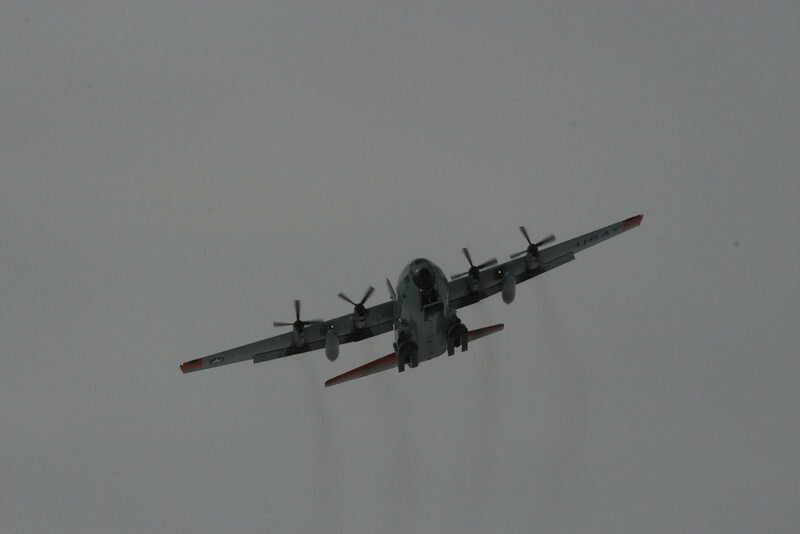 Hercules planes are used to enter the camp. The Hercules makes a low pass. Herculesen foretager en lav overflyvning.